The latest in the Final Destination horror series has trounced Quentin Tarantino’s latest effort, to achieve Number One slot at the U.S. box office. Many industry observers are saying that, “it’s the 3-D wot dun it”. Like so many movies of its genre, Final Destination was spun out into more sequels than its material deserved, and, in the great tradition of franchises such as Jaws and Friday the 13th, the third movie in the Final Destination series (which opened in 2006) was made in 3-D. At that time, however, there were few 3-D cinemas around the world, so the 3-D version slipped by largely unnoticed outside of the States. Now along comes the fourth part, which has been released in America as The Final Destination. (So they put a “The” in front of the original title, and that’s supposed to clear up any confusion?) In the three years since the release of Part Three, 3-D cinemas have proliferated internationally (SA included), so this time the 3-D won’t go to waste. As for the script, I’m not making any promises… The film will apparently be released locally under the title of The Final Destination 4: 3-D. 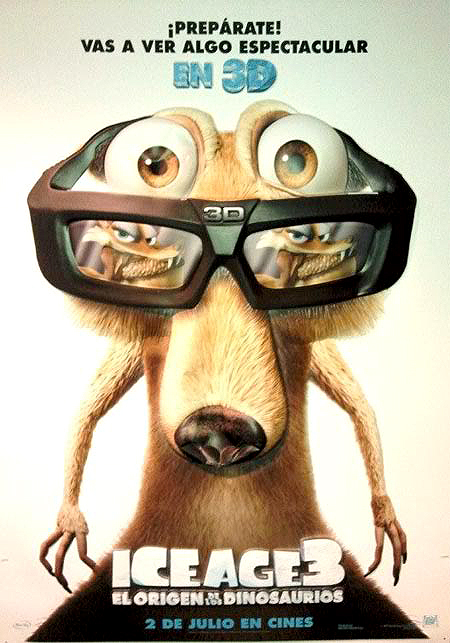 The second Ice Age sequel, known as Ice Age 3 or Dawn of the Dinosaurs, has, to date, clocked up more than $600 million in overseas (i.e. outside North America) box office. The Los Angeles Times notes that it’s the most ever earned by an animated film abroad, and further observes that, in some markets, it’s become the biggest-grossing film since 1997’s Titanic. The good news is that, in SA, the cost of the eyewear is largely absorbed by the distributor and exhibitor. For South African audiences, attending a 3-D movie costs a fraction of what it would cost in the UK or US. 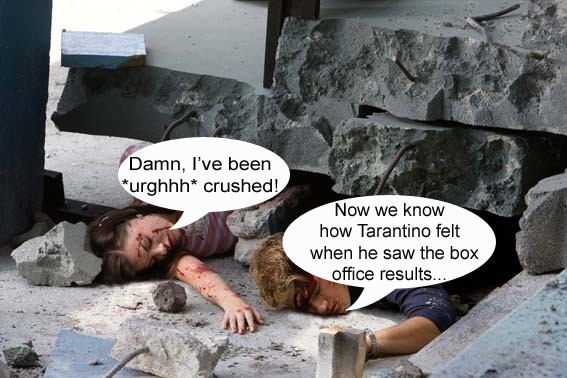 And the quality of our 3-D theatres is up there with the best the world can offer. In SA, a ticket for a 3-D movie will cost you between R30 (US$3.75, at today’s rates) and R65 (US$8.15), whereas, for example, in the States, the same experience will set you back between R105 (about US$13) and R160 (US$20)!